Pomfret, CT, September 10, 2014 — Loos & Co., Inc. has commissioned a new, state-of-the-art wire drawing machine capable of producing medical grade stainless steel wire from as large as .100” to as small as .014” in diameter. The equipment, manufactured by GCR of Milan, Italy, was purchased specifically to expand the company’s capacity to produce the high quality performance and surface finish required of stainless steel medical wire. 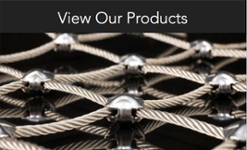 Through this purchase, a broader range of finished wire sizes will be made available to medical device manufacturers for use in producing guidewires, extruded tubing (mandrels, coiling and braiding wire), flattened and shaped wire, and orthodontic hardware, among other applications. The wire produced on this equipment will also be used as in-process material for drawing finished wire sizes to as small as .0015” in diameter and for the manufacture medical cables and strands. 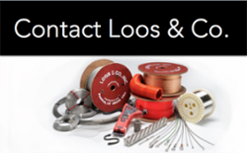 The Medical Technologies Division of Loos and Company specializes in manufacturing stainless steel wire and cable used in the medical industry. 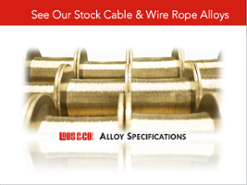 With the additional capability offered through this recent expansion, Loos and Company has renewed its commitment to medical grade wire and cable, a commitment that includes recent investments in an expanded production area, an adjoining quality lab, new intermediate and fine wire drawing machines, and upgraded cable stranding equipment.